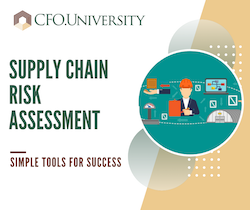 This Supply Chain Risk Assessment provides you with a high-level overview of how well your business understands and manages the key risks in its supply chain. Its high level, brief format makes it an excellent tool to use for educational and improvement meetings. Read the article that accompanies this tool!